I trimmed a panel of watercolor paper slightly smaller than a dark blue card base and stamped the three birds repeatedly, starting from the bottom and working my way up. I always masked the row I stamped last to stamp the next one above, this way I only had to cut out two masks. It looks like a lot of masking was done, but with the three birds image, it is stamped really quickly. 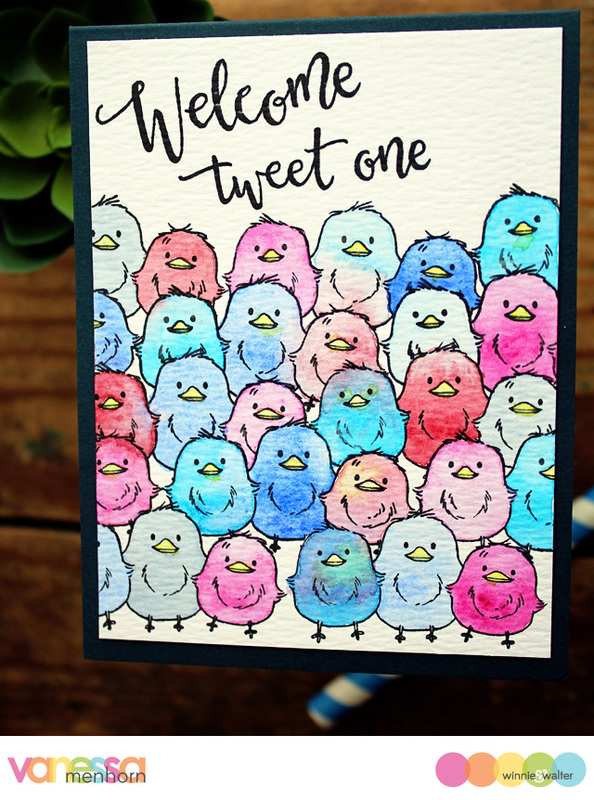 After I had finished stamping, I colored the images with watercolors, stamped the sentiment and adhered the panel to the card. I hope you liked today's card! Thank you for stopping by! Adorable card - love the stamps - and, yes, the images do make you smile! TFS! Oh. Em. Gee. Sooo darn tweet...er...sweet. Love the way Vanessa has watercolored them. Awww, look at all of those little cuties, this is so adorable!! Vanessa!!! OH my masked marvel!! So outstanding ... now which one is the tweetest? This is just as cute as can be! Love all of those sweet little birds. Super cute Vanessa, love those birdies! 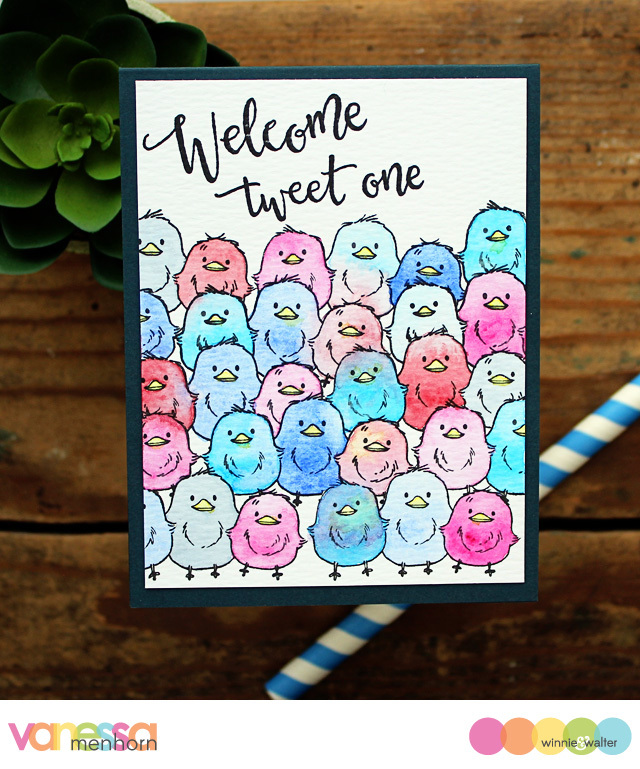 Wow, this tweet card is really amazing! Please post more content like this i gonna post it into my social pages! https://bloggersrequired.com/how-to-choose-intriguing-topics-that-lure-readers/ Here is really nice post cards! This is just for your inspire! Check it out! WOW - what a DELIGHTFUL way to welcome a new baby!!! LOVE your SWEET little tweets and PRETTY colours!! !